There are as many startup potential opportunities as the human population, but a higher concentration seats in the educational institutions. The education space cannot be fully utilized as its dynamic and the fact that new entrants join the league every day. The world’s top educational tech companies have massively invested in innovation in the education sector, which makes a complete overhaul of critical aspects eminent. In this highly creative times, there are ten potentially rapturous innovations to keep an eye on. Formerly Top Hat Monocle, Top Hat uses mobile phone applications to classroom reaction tools. This has created a pool of virtual students that will soon overtake real students. Top Hat launched a freemium account service applicable to classes having less than 30 students. This is one of the education startups that are likely to amaze the world. Both students and tutors are enabled to curate information from YouTube, google documents, websites, and blogs then map them on “Learnboards”. The fact that top companies, Discovery and BBC, have partnered with Grockit, we are waiting for the idea to rock the world. This is an audiovisual based site targeting lifelong learners. There are other online video-based platforms available, but curious .com is distinguished by their interesting, informative, short and episodic videos. The fact that you have to pay a little for the services the cost is relatively low. The previous Apple chairman, Bill Campbell, is among the people who have significantly contributed to these startups. After observing for a while that many students had interest in STEM fields but lacked a platform to showcase their developments, STEM fields, Oscar Pedroso found GradFly. 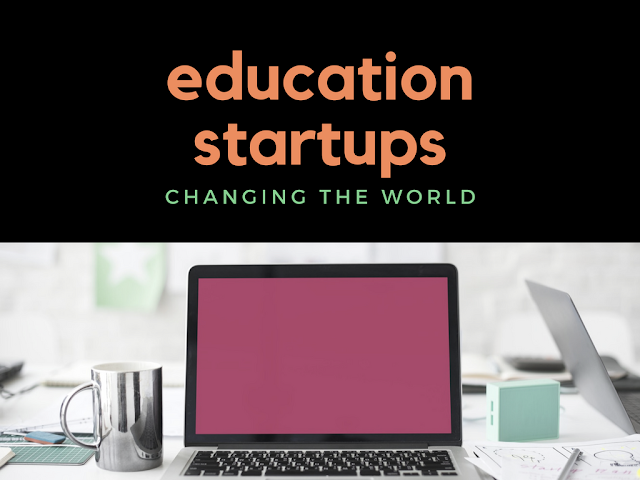 Through this, students can connect with ed-tech startups sponsor companies and colleges. The University of Rochester, Rochester Institute of Technology and the University of Buffalo are some of the institutions keen on GradFly. This is startup offers comprehensive programming lessons that lift their students from unfamiliarity to job ready status. Some of the contents they teach are: building websites, mobile applications, and coding. Top ed-tech companies have also joined in to take it a notch higher; AOL, Disney, and Twitter are some of them. Students pay $25 per on a monthly basis for unlimited access to the service, but companies are free to enjoy a corporate pack. Meritful helps small organizations and business in recruiting college students. Students also have access to a platform where they can showcase their talent and potential as well as connect with their school alumni and other professionals. This earns students employment and connectivity. They are also challenged to start small businesses and grow them. Starting a business, however, needs diligence and discipline. Alternatively, CustomWriting.com can give you more insights on business startup tips. Duolingo offers high-end foreign language learning services; it is believed that their teachings are more effective than those offered at the Universities. It also has a capacity to translate real-world web content to anyone’s local language. Media like PowerPoint, videos and web quizzes can be brought together courtesy of Siminars. This makes teaching as easy as ABC. This platform is capable of being used for academic content dissemination and professional training. Gamedesk appears in the top 10 most inventive firms in education. It was born out of a thorough research on games in schooling at the University of Southern California. Gamedesk has also received overwhelming support from top ed-tech companies and individuals. It is crystal clear that the world is persistently in pursuit to change for the better; just imagine how will the world will be by 2050? There are more innovations across the globe such that if they were all to be chronicled, no book could accommodate. We are certain that the info provided in this article will help you make sober decisions on matters regarding the future and technology. Thank you for visiting us.